Audrey Doering and Gracie Rainsberry, 10, met on Jan.11 for the first time. Audrey Doering and Gracie Rainsberry, twin sisters separated at birth, are warming the hearts of millions after they reunited for the first time Wednesday on "Good Morning America." The video of the identical 10-year-old girls tearfully embracing was viewed 11 million times on Facebook. "I am so amazed that so many people have watched it," Audrey's mom Jennifer Doering told ABC News today. "I am so glad we are able to share this with others. For us, it's amazing. There's been an outpouring of true love for our family." (Doering/Rainsberry Parents) Millions watched as a set of twin sisters, who were separated at birth, met for the first time on "Good Morning America," Jan 11, 2017. Audrey and Gracie were separated at birth in China, and then adopted by two different American families who lived hundreds of miles apart. 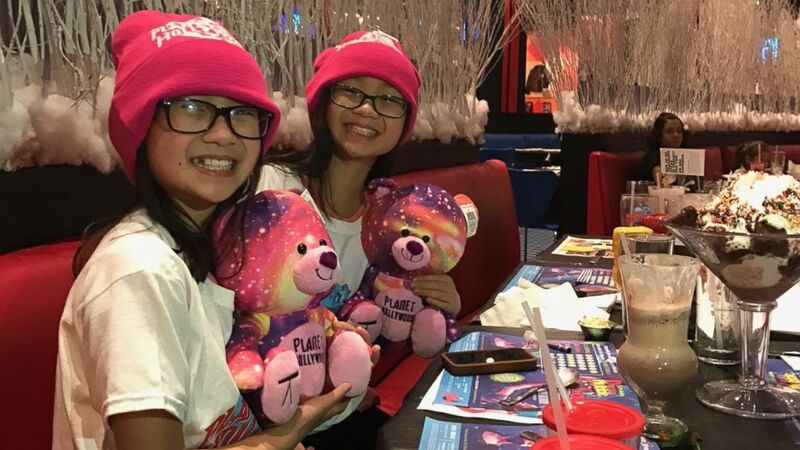 When Doering became curious about her daughter's past, she learned through a Chinese researcher that Audrey had a twin, Gracie, who had also been adopted and brought to the U.S. She eventually found Nicole Rainsberry, Gracie's mother, on Facebook. Before reuniting face-to-face on "GMA," the twins used Facetime to communicate. Shortly after the meeting, Gracie said she was feeling excited and happy. "It's very overwhelming," she said. (Doering/Rainsberry Parents) Twins Audrey Doering and Gracie Rainsberry separated at birth meet for the first time on "Good Morning America," Jan 11, 2017. Audrey said, "It felt like there was somebody missing." "Now, it's complete," she added. Doering said the heartfelt moment almost "didn't feel real." "I was similar to them, overwhelmed," she said. "I [was] so happy that they were together, finally." 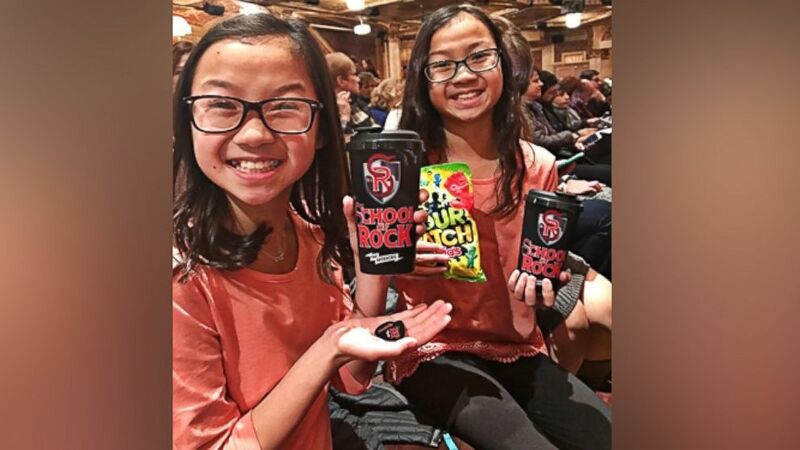 After their appearance on the show, the two families saw "School of Rock" on Broadway, visited the bright lights of Times Square and enjoyed dinner at Planet Hollywood. (ABC News) Millions watched as a set of twin sisters, who were separated at birth, met for the first time on "Good Morning America," Jan 11, 2017. The night ended with a hotel sleepover party between Audrey, Gracie and Gracie's older sister Chloe, 13. "They really do have similar interests and tastes in a lot of stuff they do," Doering said. "As we go on we'll see it more and more. It's like someone you've always known and they go right together." 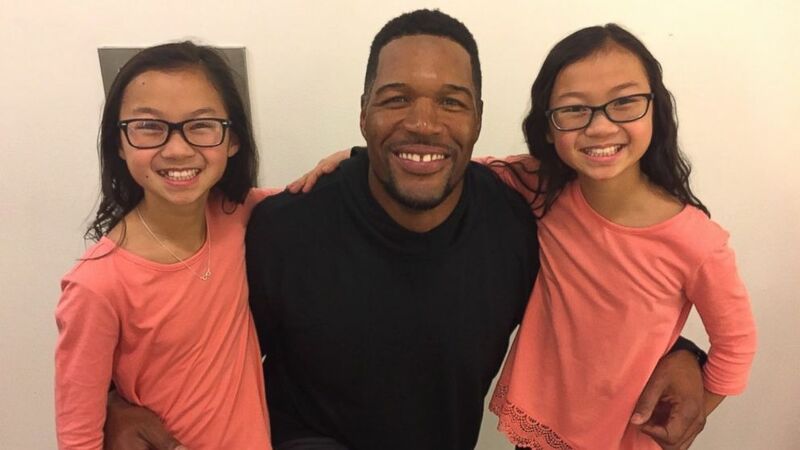 The Doerings and Rainsberrys will vacation in San Diego together in March and have the girls visit one another over the summer, Doering said. A friend of the Doering family set up a GoFundMe page on behalf of both families. The money raised will go towards travel expenses so the girls can continue to see each other.